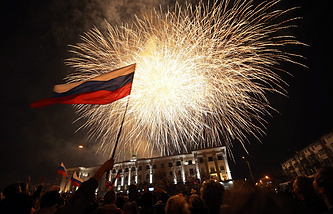 MOSCOW, March 25, 22:14 /ITAR-TASS/. 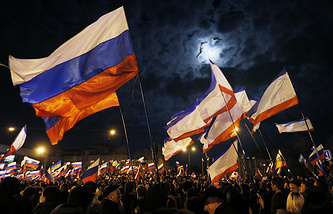 Russian Interior Minister Vladimir Kolokoltsev on Tuesday signed a decree creating Russian Interior Ministry bodies in Crimea and Sevastopol, the two new constituent entities of Russia. The decree has created the Interior Ministry’s department for the Republic of Crimea and territorial bodies subordinate to it at a district level. A Russian Interior Ministry department and the Ministry’s territorial bodies have been set up in Sevastopol. The Interior Ministry’s operational department for transport has been set up in the Crimean capital Simferopol. A day earlier, on Monday, Russian Interior Minister Vladimir Kolokoltsev met the officers of the Crimea-based unit of the Berkut police force in Simferopol. He said the unit would be incorporated into the Russian Interior Ministry under its old name. Kolokoltsev said that Berkut had proven to be an efficient and well-functioning force, which showed high level of training and moral strength in hard conditions. 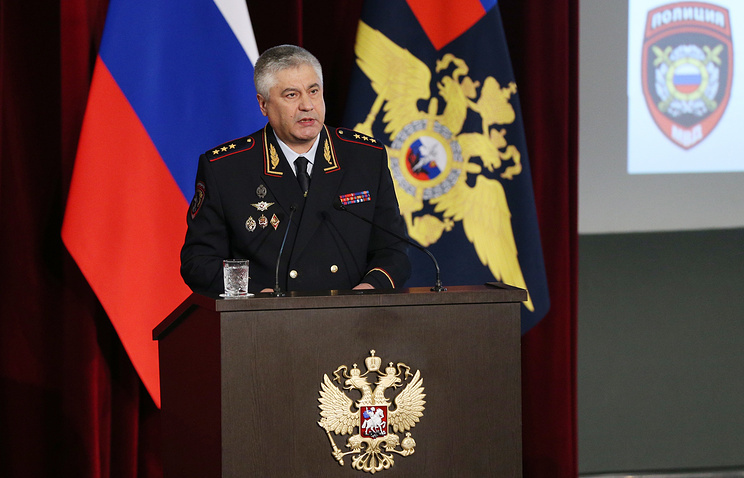 “We would like your unit to continue fulfilling its tasks (within the Russian Interior Ministry),” Kolokoltsev said. He expressed his personal admiration with the courage and bravery shown by the unit’s members in the days of Ukraine’s turmoil. “It (Berkut) did not waver and stood to the very end,” Kolokoltsev told the Berkut policemen. The Russian interior minister said the Ministry would count on local people when organizing the work of the Crimean police. He urged Crimea’s professional policemen retired from service to return to work. The Crimean Berkut unit has 400 members with subsidiaries in Kerch and Yalta. The unit took part in maintaining public order during the recent unrest in Kiev.